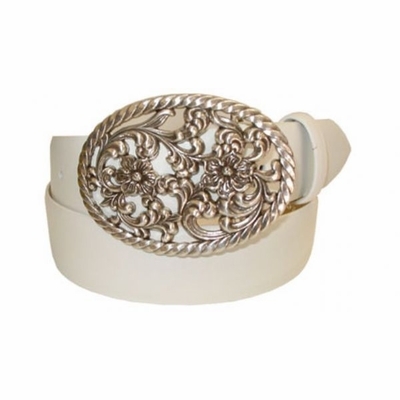 Genuine Leather Suede Belt with Silver Finish Cut Out Flower Design Trophy Buckle. Belt comes with snaps, so you may use it with any other 1 1/2" Wide Belt Buckle. Our Belts are measure from where the leather ends at the buckle end to the middle hole at the tip end.